Cases involving throwing a deadly missile have significant penalties. If you have been arrested for a criminal offense involving a weapon, you should consult with a Orlando criminal attorney at your earliest convenience to learn about your rights and the defenses that may be available to you. The offense of shooting or throwing a deadly missile is committed when someone wantonly or maliciously, shoots at, within, or into, or throws any missile or hurls or projects a stone or other hard substance which would produce death or great bodily harm in any building, occupied or unoccupied, or any vehicle of any kind which is being used or occupied by any person, or any vessel lying in or plying the waters of this state, or aircraft flying through the airspace of this state. 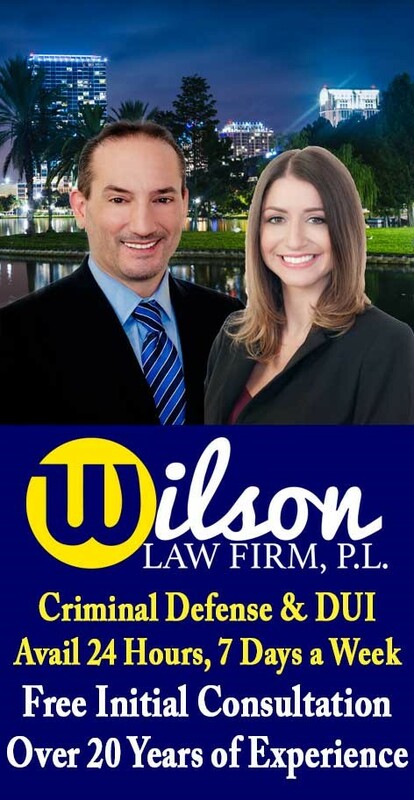 If you or a loved one have been arrested for a throwing a deadly missile, call the Wilson Law Firm today to speak with an experienced Orlando criminal attorney about your situation. In many throwing a deadly missile cases, a properly prepared defense by a criminal lawyer will result in either reduced penalties, reduced charges, or a dismissal of the charges. Even in cases where the evidence of guilt is overwhelming, a properly prepared defense and presentation of mitigating circumstances by an Orlando criminal attorney can result in significant decreases in the penalties you receive. Throwing Deadly Missile – The Wilson Law Firm provides a free initial consultation with an experienced Orlando criminal attorney. Call us today to speak with an Orange County criminal lawyer about the legal process and your rights.